So you want to Homeschool Preschool? People over complicate things. It’s not hard! I’ll show you. 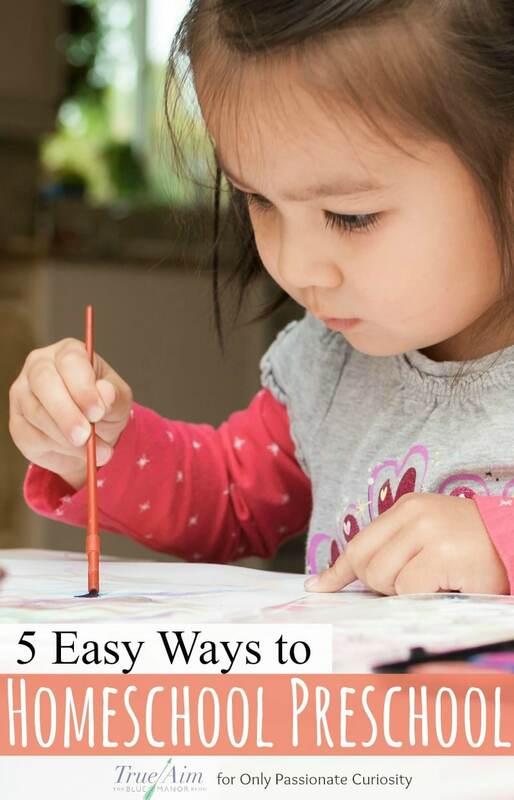 Here are 5 easy ways to Homeschool Preschool. You might feel pressured to start drilling multiplication tables when they are 4 and quizzing your preschoolers on their letter sounds starting at 3, but just STOP! Take a step back and evaluate what you are doing. It’s not wrong or anything, but you want to make sure you have some perspective. If you are reading this, I am going to guess you want your children to become happy and successful adults. I do too! Will teaching them to read, write and add way earlier than their peers, or even at the same time as their peers, achieve this goal? It’s all relative. You may have a national spelling bee champion, but if they don’t know how to have a healthy relationship, their life will be very lonely. You may have a math wiz, but if they don’t know how to take care of their body, they will always struggle with their health. Academics are only a tiny piece of the puzzle. However, nurturing a child’s character will instill values that go further than any fact you can put in your preschooler’s brain. With the whole child’s well-being in mind, here are some tips to homeschool preschool! What is unschooling? You allow your child to explore and guide the learning. Don’t put a lot of emphasis on learning certain things at certain times. 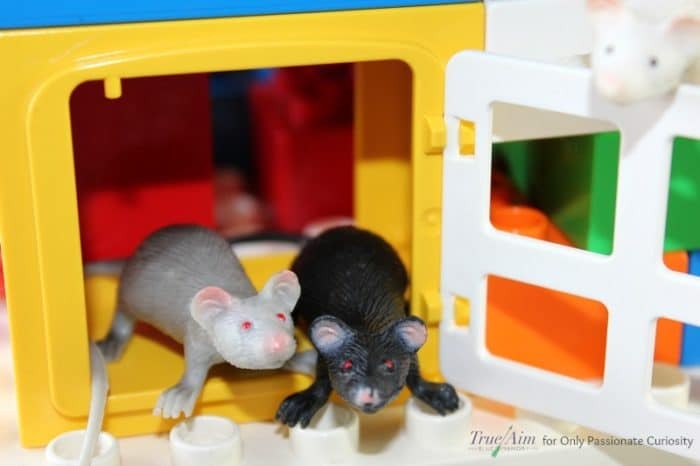 You spark their curiosity and teach them by answering their questions with real life examples; allowing them to learn through a lot of open-ended play. I’ll give you an example. While building with legos, your child makes a tower and knocks it over. You might want to ask him what happened (talk about gravity) or maybe get the measuring tape out to see how tall it is before he destroys it. You can count the bumps on the legos and categorize them. You can talk about the colors and shapes. You can do this with just about anything even going to the grocery store, folding laundry, or changing the baby’s diaper. Taking open-ended play or real life experiences and participating with your children through conversation is an easy and relaxed way to homeschool preschool! Is your child captivated by rocks? Do they have a fascination with the garbage truck? Is their favorite food sushi? You can take the things your children like the most and learn all about them! They can learn the first letter of the theme, learn the colors of them, learn the process, the how and why. There are lots of free and inexpensive printables out there, but you can also just read books and do simple activities! Develop your child’s concentration, problem solving abilities, hand-eye coordination, and hand muscles with lots of fine motor activities! This can be done with art projects, crafts, or simple activities. Develop a routine and try introducing them slowly. You can do one a week at first and continue to add them as time allows or your child’s skills grow. Repeating the same activity if your preschooler particularly enjoys them is great for mastery and also takes the pressure off of you to prepare something new. All children love to move their bodies! A lot of people forget that educating the body can be just as valuable as pure academics. Take lots of trips to the park and have your child explore new skills with close supervision. I like to show my kids different exercises in the local park’s field like the bear crawl, crab walk, handstands and more. My children’s favorite thing is to dance! 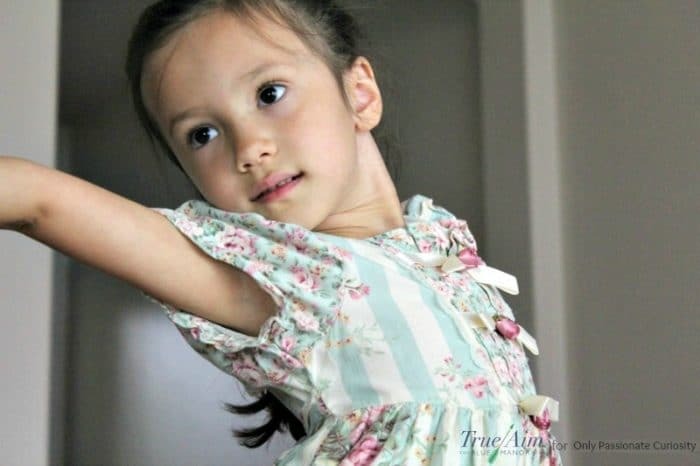 There are lots of fun youtube videos that have simple dances, perfect for young children, but we also just enjoy dancing together and taking turns dancing for eachother. The kids beam when everyone claps for their performance. A lot of people scoff at putting children in front of a screen at all, but technology is a powerful tool for education and when used in the right way, it can open the world up for your child! I do recommend limiting stimulating and flashy games, ones that have no educational value other than hand-eye coordination. 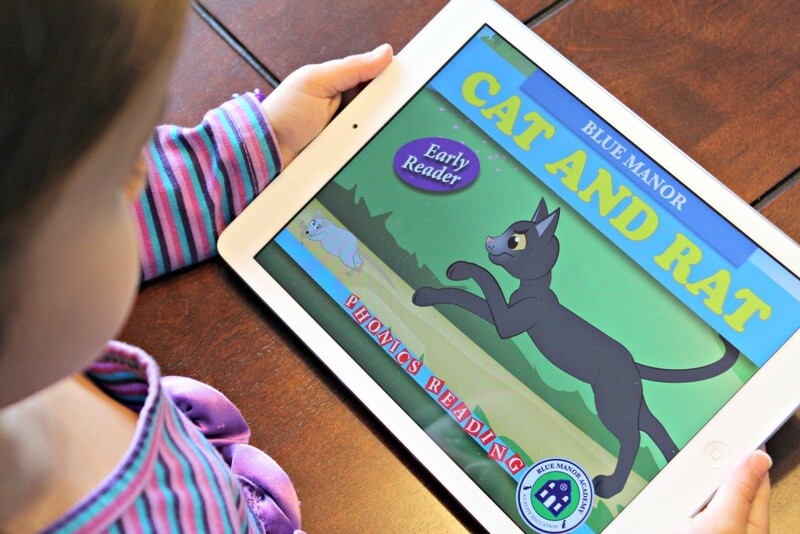 A perfect online program would combine audio books with simple, but inspiring illustrations and lots of different subjects including character development! Utilizing an online program could spark your child’s interest in things they may not have discovered otherwise and then you can explore and discuss it more offline! The key to teaching your preschooler is to remember that facts aren’t as important as the character of your child. 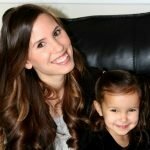 Whether you choose to do one or a combination of these techniques to homeschool preschool, try to model the kind of person you want them to become. They will get the most out of their preschool years when you include them in your day-to-day life with lots of conversations, participation and experiences.